Think it’s your empty stomach that causes hunger? That’s not the whole story. Hunger is a complicated process that all animals experience in order to maintain the energy necessary to stay alive. And it involves more than just the stomach. Back in 1912, a researcher named A.L. Washburn swallowed a balloon after fasting. The balloon was then inflated using an air tube to simulate a full stomach. Did he stop getting hungry? For a few hours, yes. But after some time had passed, Washburn’s hunger returned, proving hunger isn’t just caused by an empty stomach. So what else is going on? Hunger can be triggered by many things. It may be a billboard featuring steaming croissants that makes your mouth water. It may be the time of day—many people get hungry around noon if that’s when they take their lunch. 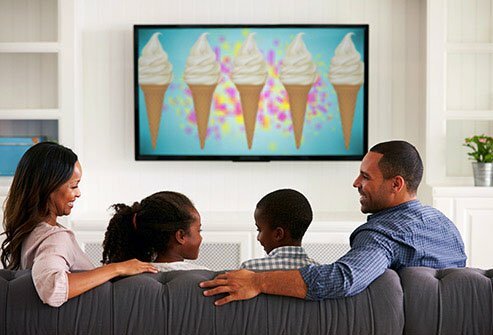 It may also be a matter of habit; if you eat in front of the TV frequently, turning on the tube could trigger hunger for you. Or your body may simply need calories. 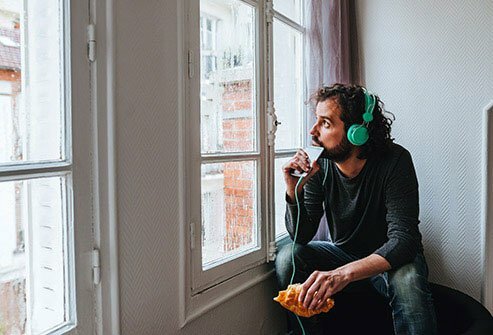 When stress first hits, it shuts down appetite as your hypothalamus preserves your resources for “fight or flight.” But ongoing stress can lead to binge eating. That’s when cortisol comes into the picture. Cortisol is a hormone that increases hunger, and it rises with chronic stress. The nice thing about these two approaches is that you don’t have to choose. You can keep unhealthy foods out of your kitchen and still focus on lowering your stress. 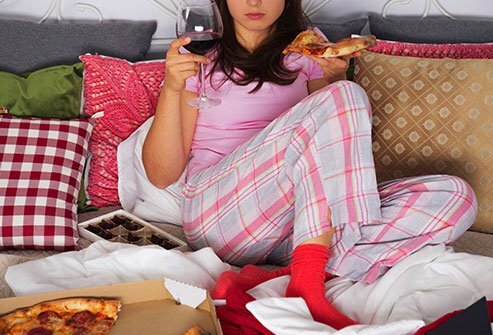 And if you recognize yourself as someone who copes with stress by indulging in unhealthy food, why not try both? The water you consume doesn’t just come from the faucet. Believe it or not, a slice of brown bread is almost 40% water. An apple is nearly 70% water. And roast turkey is made of about 65% water. It’s no wonder, then, that when you think you’re hungry, you may actually be thirsty. Since your body knows it can get moisture from food as well as water, it can be easy to mistake thirst for hunger. So the next time you feel hungry outside of mealtime, try pouring a glass of water. If you’ve recently eaten a large amount of fiber, this can even help if what you’re feeling is actually hunger. 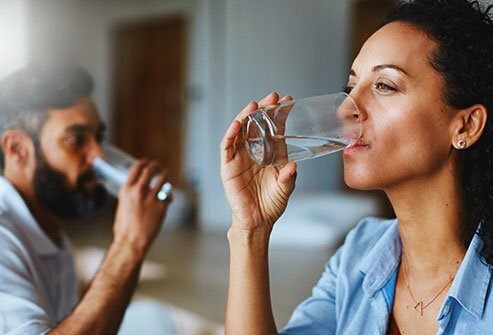 Water and fiber work together to slow the body’s digestion and leave you feeling fuller, longer. Your body loves sugar. And that’s a very good thing when food is scarce. But sugar is cheap and widely available in the developed world, meaning our natural hankering for sweets can lead to dangerous obesity. Most food gets turned into glucose, a sugar that can be converted into fat for use later. Insulin plays a big part in this. With some foods, your body has to work hard to get the sugar it needs. If you eat a carrot, it takes your body time to break the sugar down into a usable form, and your insulin responds relatively slowly. 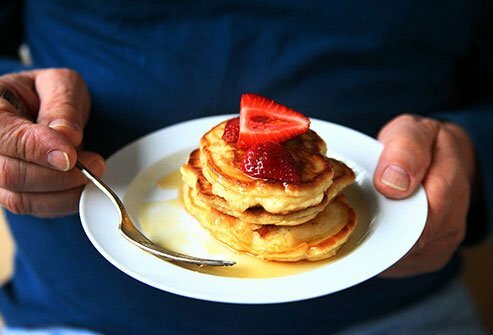 But if you feed yourself a high-sugar meal without much fiber, your insulin levels spike. The result is that you feel satisfied quickly at first. But sugar sends such a powerful signal to increase insulin that you’re likely to end up with more insulin than you need. And that’s why you tend to get hungry much sooner after a high-sugar meal. Diabetes makes it more difficult for your body to turn food into energy. People with diabetes either have a harder time producing insulin or their bodies don’t respond to insulin as well as healthy people. The result can be polyphagia, the word used by doctors to describe extreme hunger. If you have uncontrolled diabetes, the answer to your ravenous appetite may well be medical treatment. Talk to your doctor about treatment options. You may be referred to a hormone specialist known as an endocrinologist. 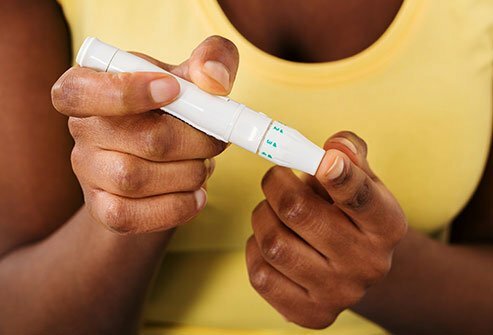 Diabetes is a serious—and potentially life-threatening—health problem. So if you suspect diabetes may be harming your quality of life, don’t wait—see a doctor right away. If you don’t have enough glucose in your blood, you have low blood sugar, also called hypoglycemia. When you go without food for a few hours, your body normally responds by getting more energy from the liver, which releases glucose. This doesn’t work very well for people with hypoglycemia, though. Hypoglycemia makes people feel weak or dizzy after several hours without food. Pregnancy affects different women in different ways. 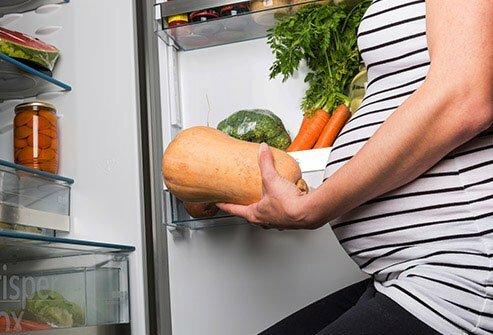 Some can barely get any food down, especially in the first few weeks as they experience morning sickness. Others find that they can’t seem to eat enough to feel full. When you’re especially hungry, you may tend to wolf food down. That may feel good in the moment, but it can leave you feeling painfully full too. That’s because when you eat fast, your body doesn’t have enough time to register a feeling of fullness. Eating your food slowly and enjoying it can make your mealtime more satisfying with less food. But if you’re already in the habit of eating quickly, making a change can be tough. Try this: when you begin to eat, remind yourself to slow down and focus on each bite. Chew slowly, take smaller bites, and take the time to enjoy what you eat. Savor the flavors and appreciate your food. Once you’ve eaten a healthy amount, wait 20 minutes before deciding whether to have another bite. You may find that you are satisfied with less. For starters, eating the same amount of calories can lead to huge differences in the volume of food you eat; 500 calories of strawberries takes up a lot more space than 500 calories of milk chocolate. 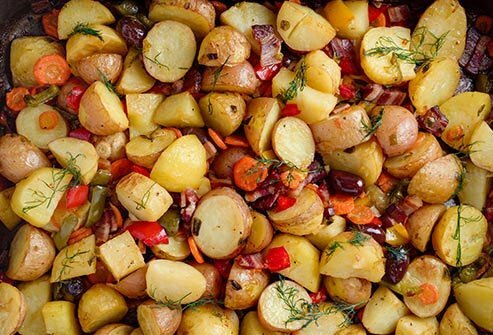 So even if they’re the same number of calories, boiled potatoes will take up a lot more real estate inside your stomach than french fries. How much room your food takes up in your stomach doesn’t tell the whole story. What your food is made of also makes a big difference in how full it will leave you. Fatty foods empty slowly from the stomach, for example, but they are less satisfying than low-fat foods. Proteins satisfy much longer than fats, and high-fiber foods are perhaps the most satisfying of all when it comes to sating hunger. You may not have food on your mind at all, but walking past a popcorn vendor can change that quickly. Maybe it’s the smell of buttery popcorn. Maybe it’s the sight of those freshly-popped kernels, or the sound of their popping. But for some reason you can’t stop thinking about it as your hunger begins to build. Emotional eating is traditionally described as a coping mechanism for negative emotions like fear, sadness, and anger. But more recent studies suggest positive feelings can lead to overeating as well. If you find yourself eating more at weddings and funerals, you’re someone who gives in to emotional eating. This seems to be something nearly everyone does from time to time. More recent skepticism has turned a closer eye to the many studies published on emotional eating. 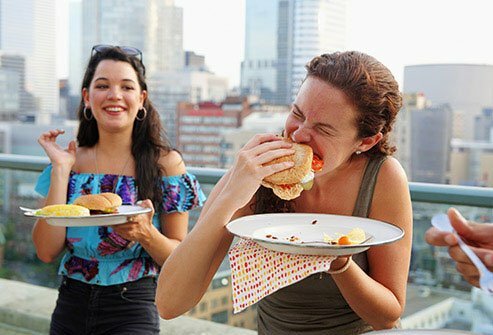 One major study found significant flaws in prior research, and suggested that people who describe themselves as emotional eaters may simply be trying to explain their irrational eating behavior in a way that makes sense to them. High scores on emotional eating didn’t make any difference in several studies looking for correlations between mood and eating, leading to this conclusion. Find a replacement. Food isn’t the only way to take your mind off of problems. Try a healthy activity you enjoy doing instead, such as playing a musical instrument, exercising, or writing a story. Know when you’re really hungry. If you’re truly hungry, your stomach will growl, you’ll become more irritable, and you may find it hard to concentrate. If you don’t experience this type of thing at the moment, you probably shouldn’t be eating either. Cases like this need a doctor’s care. You can have your thyroid tested, and if you do have an overactive thyroid (also called hyperthyroidism), there are treatments available. 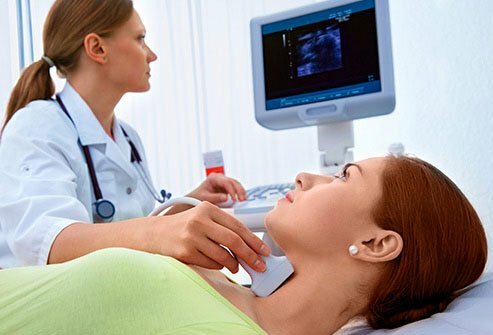 The sooner the better—unchecked overactive thyroids are linked with other health concerns such as heart problems and osteoporosis. 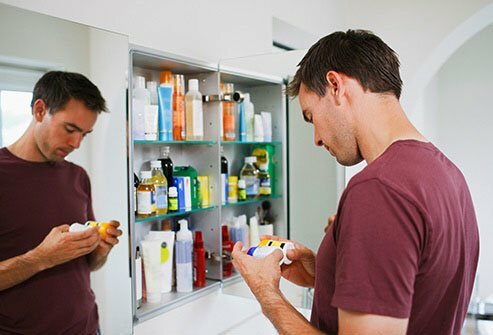 If your medications are causing excess hunger, you may be tempted to discontinue them—especially if you’re concerned about your weight. That’s a bad decision to make on your own, though. 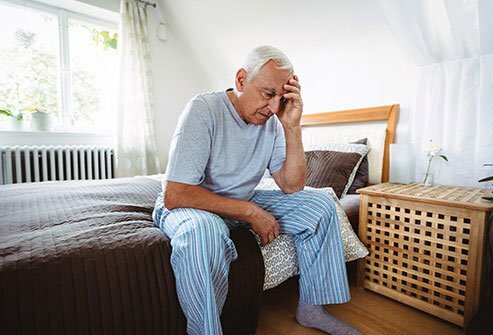 It’s better to bring this problem to your doctor, who may suggest an alternative therapy to treat your health condition, or a lower dose depending on your circumstances. One study found that leptin drops and ghrelin rises in your body if you consistently get five hours of sleep a night or less. But further studies have found similar results after just two nights spent sleeping four hours or less. This can raise ghrelin by 28% and lower leptin by 18%. And you won’t wake up hungry for a nutritional meal, either. The research shows that people with poor sleep habits become hungrier for high-carb foods loaded with calories, as well as high-fat foods. The solution is obvious—get enough sleep to avoid hunger. If you drink, it’s probably happened to you. A night of drunkenness can leave your stomach growling in the morning. This is puzzling, because alcohol has plenty of calories; it’s the second-most calorie-dense nutrient (fat is the most calorie-dense nutrient). So if your body doesn’t need more energy, what makes us feel hungry after drinking? The first thing to consider is to avoid drinking excessively. 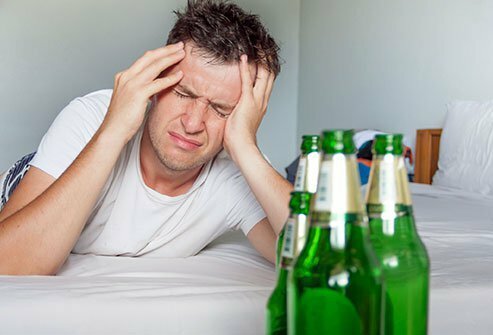 Drinking too much brings more health problems than just hunger. If you do plan to drink more than usual, here’s another solution: eat a big, healthy meal before you drink. That leaves less room for your alcoholic drinks, and it will leave you less hungry later on. It may sound strange, but sometimes it’s what you’re not eating that makes you overeat. Protein seems to be more satisfying and leaves us feeling fuller longer than other nutrients. A study performed on men of varying ages looked into this. The subjects were fed meals with plenty of protein, but the protein content decreased as the study went on. Researchers found that as protein decreased, the men became hungrier sooner after eating. That was true whether these men were younger or older. This is something to consider if you’re trying to lose weight. Although you may be cutting certain items from your diet, it may actually help you lose weight if you remember your protein. 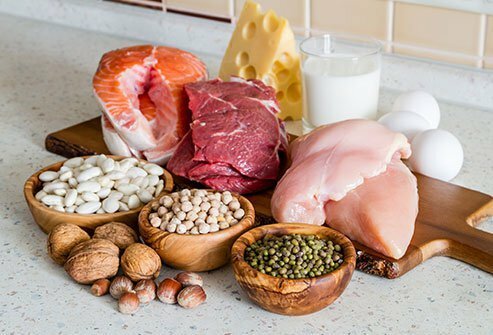 How much protein should adults be eating? The CDC recommends 46 grams of protein for women each day and 56 grams a day for men.